Romaco Timer is a timer unlike any other. 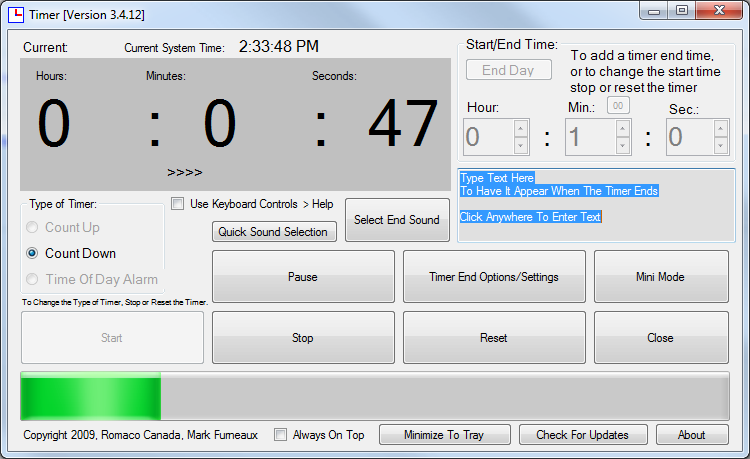 It fuses count up and count down timers with timed alarms, and has support for both audible and visual feedback. Sporting a mini-mode and a tray applet, Romaco Timer is an easy choice for your everyday timing needs. Please note that Timer is discontinued and 3.5.0 will never be completed.